Recycled water is waste water that has undergone a partial process of treatment and purification. Rather than being returned to the water system where it will evaporate and go through additional natural purification, however, recycled water is diverted directly for use such as for irrigating crops. This practice has distinct advantages as well as significant drawbacks. Because recycled water is put directly back into use, the process saves water that might otherwise be lost through runoff or contamination. Recycling water also saves potable water for the general public since industries such as agriculture and manufacturing can take advantage of the low-cost recycled water to irrigate fields or supply factories with water for manufacturing processes. Recycled water has additional benefits for the agriculture industry. Because it has been through a less thorough treatment process than drinking water, recycled water contains higher amounts of certain chemicals, including nitrogen, that can help fertilize plants. This makes recycled water better for watering crops than tap water, which has chlorine or fluoride added that may be harmful to plants. One of the key disadvantages of recycled water is the potential health risk posed by the bacteria it may contain. Recycled water may contain E. coli or other harmful bacteria, which are transported to wherever the water is finally used. 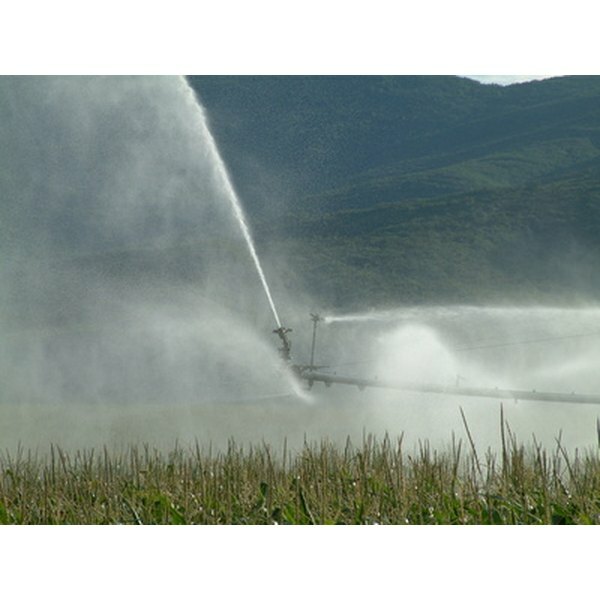 In the case of irrigating fields, this raises the likelihood of an outbreak of food-borne illness. There is a generally negative public perception that surrounds the use of recycled water. Despite the fact that this water is treated and mostly safe, its status as non-potable can create the incorrect perception that all recycled water is contaminated or dangerous. For this reason, citizens may be reluctant to approve a civic project dealing with recycled water, despite the possible benefits.